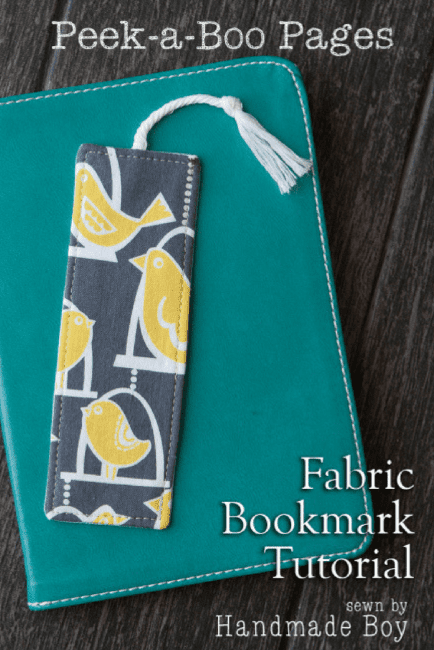 Fabric Bookmark Tutorial - Peek-a-Boo Pages - Patterns, Fabric & More! 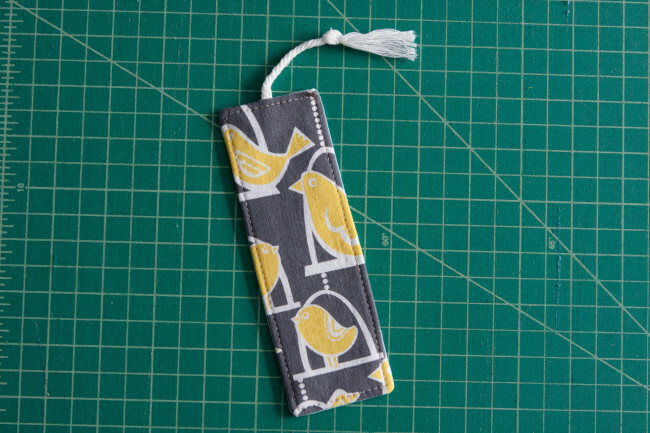 Do I have a scrap busting project for you today! 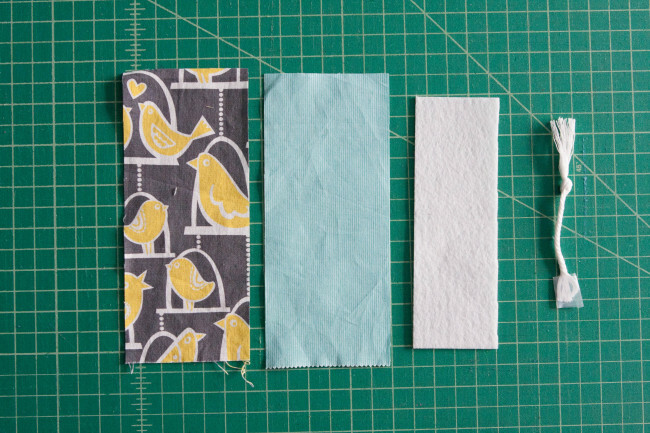 Hey, Peek-a-Boo readers, It’s Kelly from Handmade Boy and I’m back to share a cute tutorial for how to make fabric bookmarks. 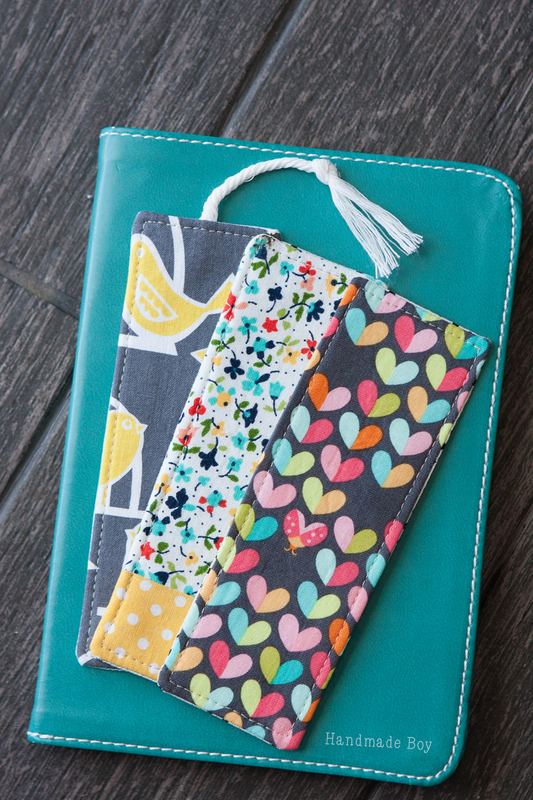 This are so great for using up those scraps of your favorite fabrics that you can’t stand to part with. 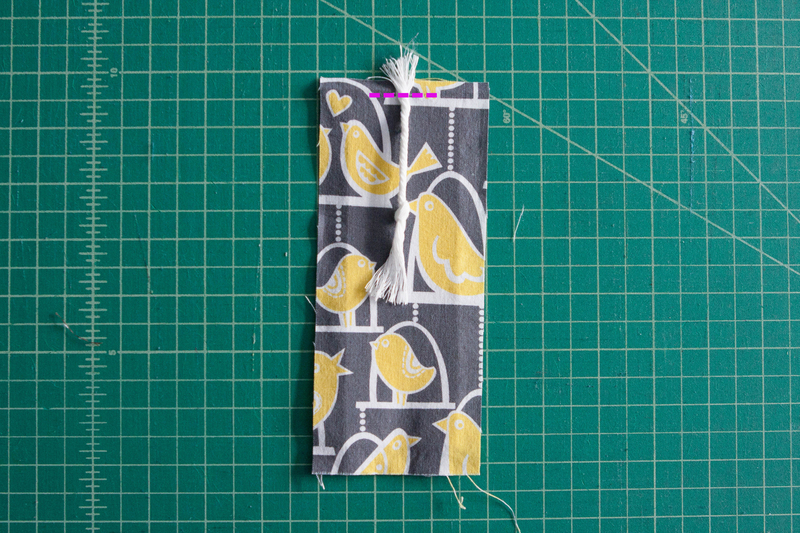 This would also be a great beginner project for your child to practice sewing straight lines with. For this project, you will need two scraps of fabric cut to 3″ wide by 7″ tall and a piece of sturdy interfacing cut to 2″ by 6″. (I used Pellon 809.) If you would like a tassel, a scrap of cording or ribbon 3″-4″ in length. Iron the interfacing onto the wrong side of one of your fabric pieces. Make sure it is centered. 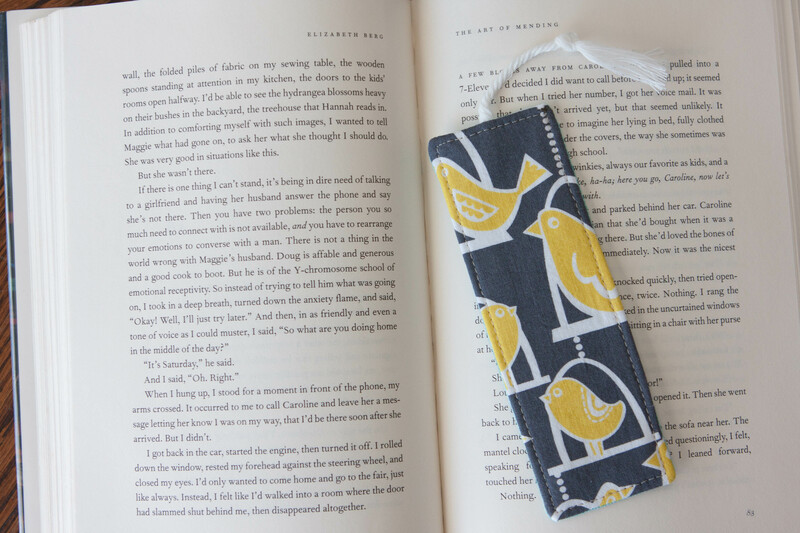 If you are attaching a tassel, baste it in place along the top of the bookmark. 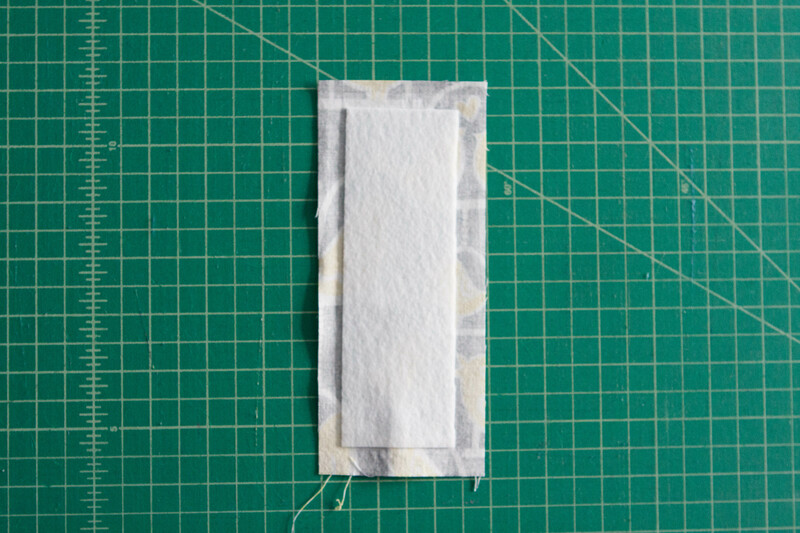 You want the part that will extend out the top pointing towards the bottom of the bookmark. Place your fabrics right sides together and stitch next to the edge of the interfacing. Leave a gap several inches long along one side for turning. 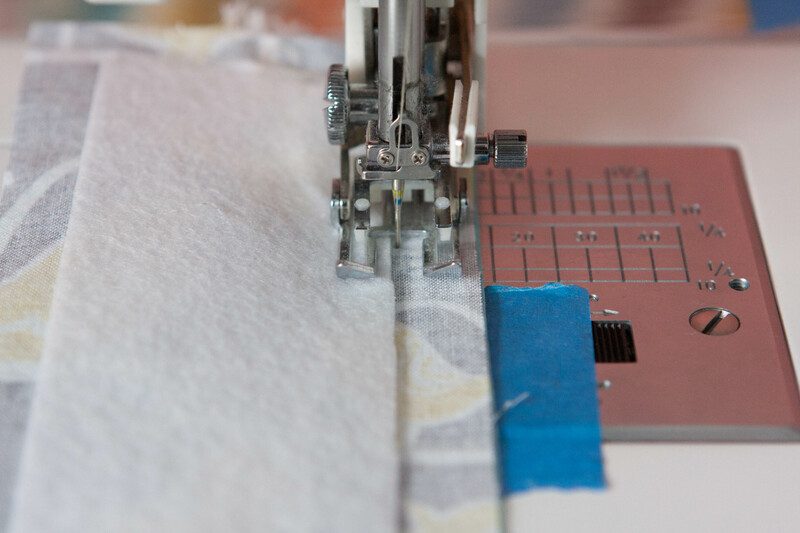 Press back the seam allowance along the side with the gap for turning. 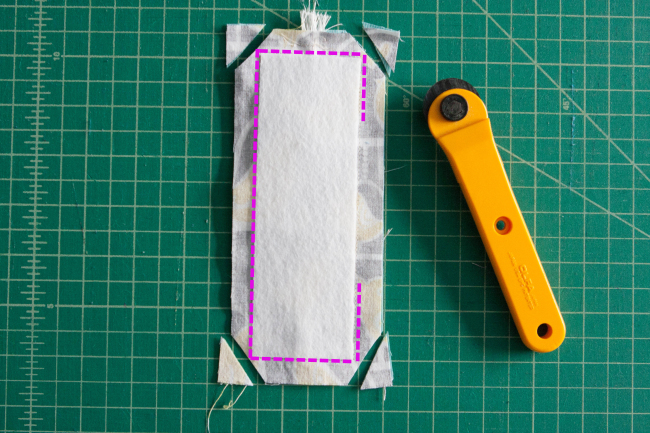 This will make topstitching the hole closed easier. Turn the bookmark right side. 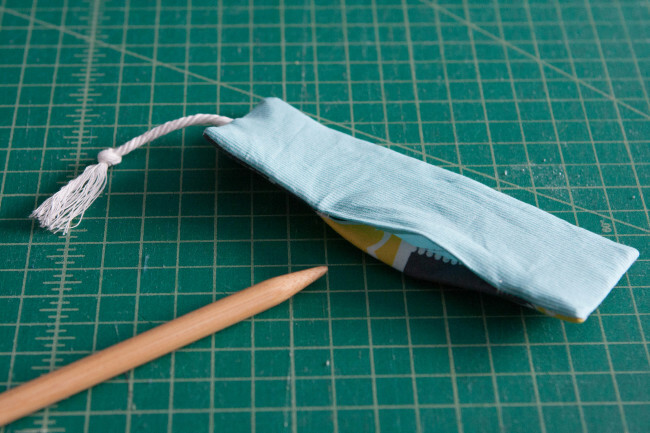 Use a chop stick, wooden knitting needle or something similar to push the corners out. Press your bookmark and then topstitch around all the edges, closing the hole used for turning in the process. And you are done! Simple right! 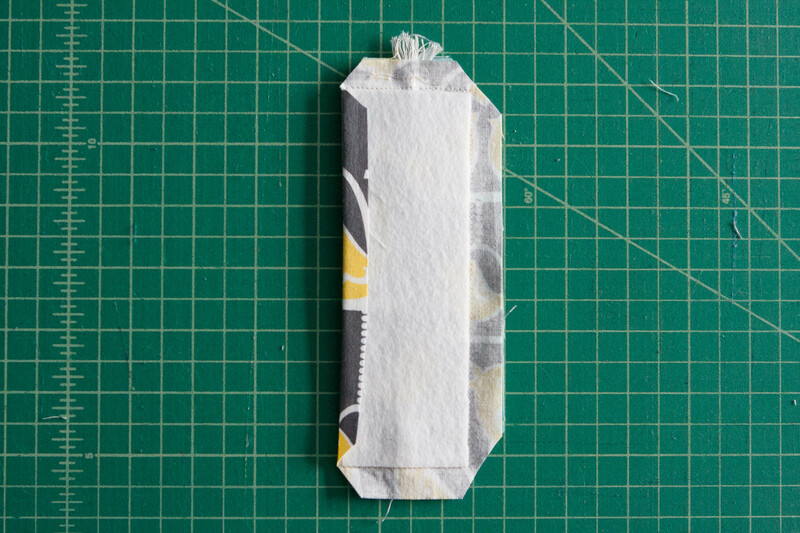 If you have some great knit fabric you love, simply interface it with some SF101 and follow the same steps. You can also sew smaller pieces of fabric together for a patched bookmark. 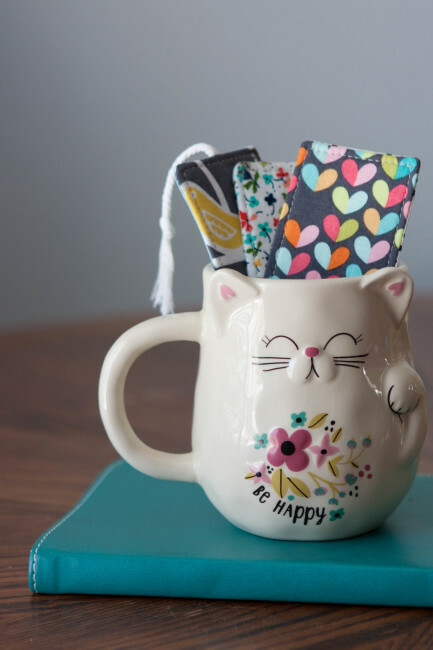 Sew up a kitty coffee cup full of them! These would make excellent teacher’s gifts, party favors, Mother’s Day gifts or a nice addition to any gifted book. Now go bust some scraps! Thanks, Kelly FABRIC for this bookmarks tutorial. 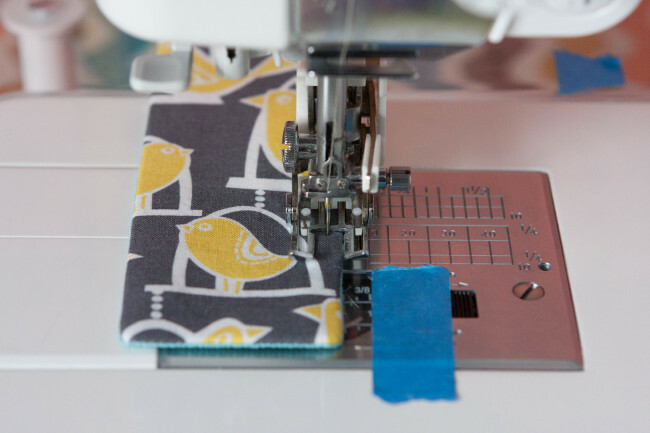 I am must try this tutorial.It really looks easy.I have always wanted to try feathers! I’ve been too scared! Thanks for the great tutorial and template…there’s no time like now to try!